Swiss recording engineer Jurg Jecklin has developed number of electro-acoustic inventions and adaptations of known techniques to new problems. One of his most interesting is the Optimum Stereo Signal (OSS) stereo recording technique. This is a version of the system suggested by Alan Blumlein in his pioneering early work in stereophony. 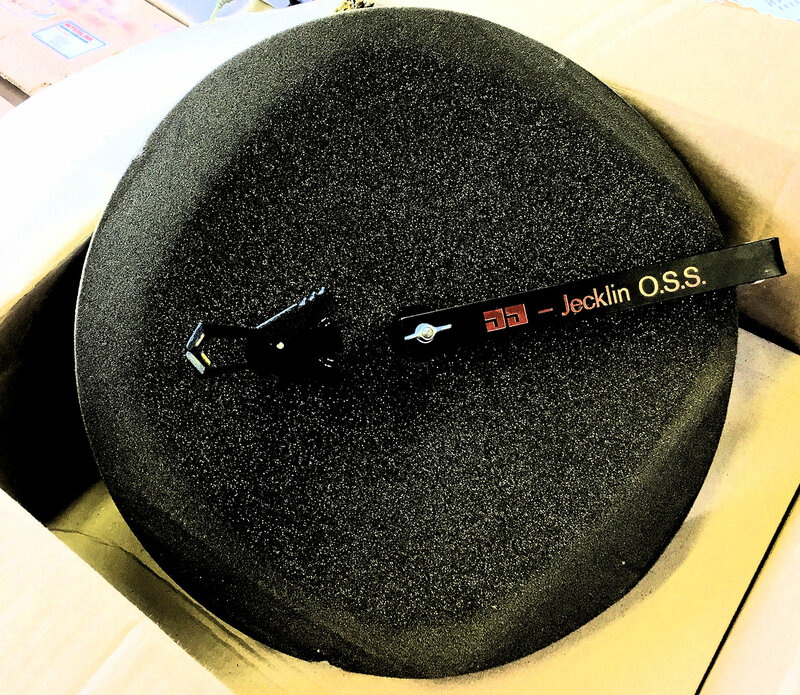 The original Jecklin OSS recording system uses a thick plastic disk covered on both sides with a foam sound-diffractive material. Omnidirectional microphones are mounted in the clamps provided, placing their diaphragm centres an equal distance from the centre of the disk. Sound pickup takes place without any further manipulation of the left and right signals; if a change in left-right or depth balance is required, the Jecklin array should be rotated slightly or moved.